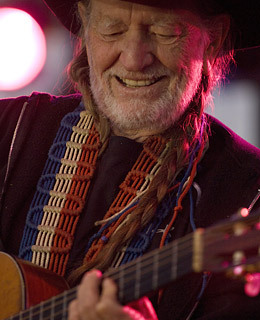 It's tough to be mad at Willie Nelson. So when Willie got into tax trouble, his fans were there to bail him out. After the IRS hit the country crooner in 1990 with a bill for $16.7 million in unpaid back taxes, Nelson had to hand over many of his possessions to stay out of prison. But in a bit of quick thinking, he released an album poking fun at his plight, calling it The IRS Tapes: Who Will Buy My Memories? His fans took the title literally, snapping up his items at auction but then handing them back over to Willie. By 1993, Nelson was able to settle his tab. Watch the top 10 Obama gaffes.